I'm getting too old for this going out caper. For some reason I decided it was a good idea to do Beer Club Belfast on the Thursday followed by back to back Christmas parties on Friday and Saturday... Some how I've made it to Sunday and I still seem to be in one piece. It's not so much the booze that's got to me, its the lack of sleep. Can't wait to get back to work for a break! Anyway, enough moaning (another sign I'm getting old) and into the beers. Myself and a mate (Hello Abs!) headed off on the train and into Belfast, it was a lovely evening for a stroll to the Hudson and we got there nice and early. Crowd was a bit smaller than the last time but still very welcoming and friendly. 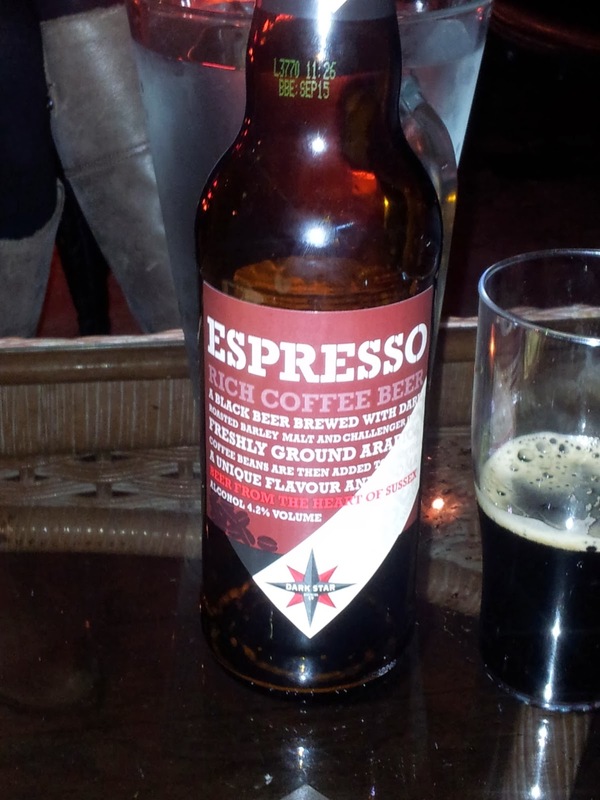 Along with the usual crew, stout expert Michael Kerr helped take us through the beers and shared his knowledge. First up was Dark Star Brewing's Espresso. This one is on the list (number 50 to be precise) but was ticked off some time ago. I remember enjoying it more last time, it's a grand beer but not really up there as something I'd go back to all that often - but it set us up well for what was to come. 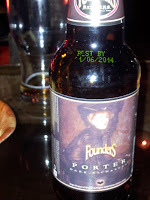 Next up was Founders Porter - which I blogged about recently - and it's still a seriously good beer, sometimes I can get caught up chasing exotic brews but this is just one of those beers that does balance and subtly really well. Seriously this beer is good value for money (and has been seen in both Lighthouse Wines and the Vineyard). Nogne Porter was the next beer put in front of us. It seemed like a solid beer, but I think it suffered for following the Founders and there was something slightly odd (a bit cough syrupy to me) at the end of the taste. I have a another bottle in the fridge so I'll give it another go and see if that changes my opinion. Brooklyn Dark Chocolate Stout followed shortly. Great brew (and on the list) one of my "go to" beers. So then we finished with two biggies - Brewdog Old World Russian Imperial Stout and Goose Island Bourbon County Stout. 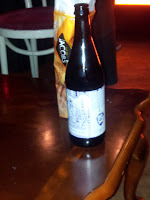 Thought the brewdog was a really clever beer, lots of hops making it interesting and lighter than expected - good gear. I covered the Bourbon County Stout recently - coming at the end of this session I thought it was better than the last time but I still think a wee bit of age will really help this beer. Beer of the night? 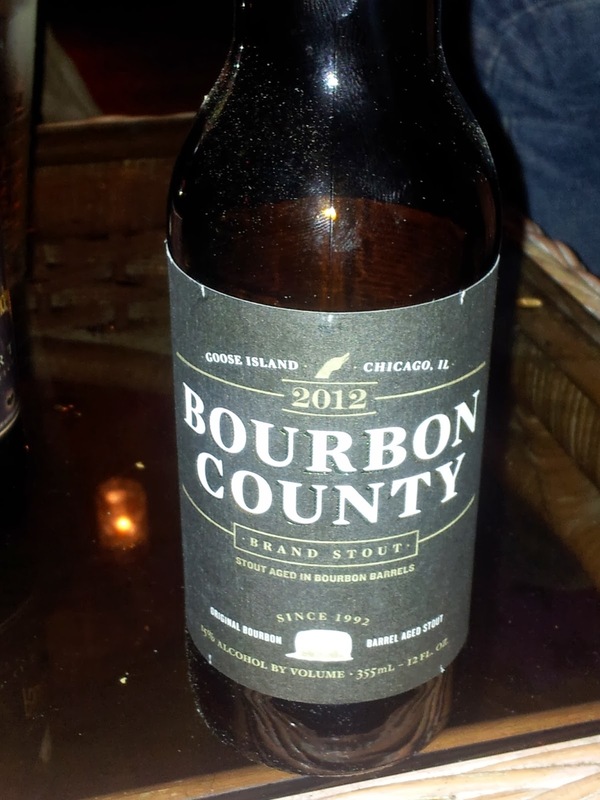 Toss up between the Bourbon County and the Founders, I'd probably go for the Bourbon County but those around me (Hi Emily if you ever read this, thanks for keeping us company) preferred the Founders, it's certainly the best value for money. Another good night at the club and it was good to meet a few new people and put faces to some the the guys and girls from twitter (including Get 'er Brewed who I'm hoping to become a customer of in the near future!). Danish beers coming to Beer Club Belfast in January I believe, a good chance to try something new so get there if you can! The Friday night Christmas doo was fun despite some feckers try to ruin everyone's party, but who failed. Good beers were few and far between though the 7 Giraffes in The National was pretty good. Saturday was at the Parson's Nose - the food was excellent (best steak I've had in awhile), so was the company, and the draft Whitewater Belfast Black was pouring very well too! Right, that's me off to bed again!